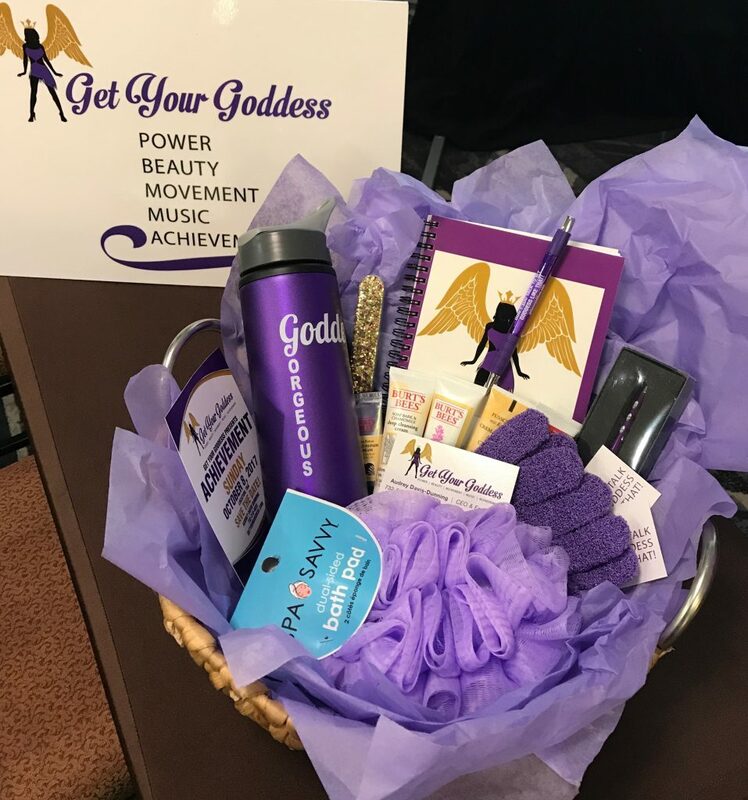 Get your goddess on with #HipNJ’s Lisa Marie and CEO of Get Your Goddess, Audrey Davis. Audrey Davis is a strong woman on a mission. She hopes to encourage ‘Goddesses’ to come together and create a greater message for the younger generation. Get Your Goddess is an organization dedicated to celebrating what is RIGHT and BEAUTIFUL about YOU! Audrey empowers women by teaching the goddess basics of embracing your goddess: Power, Beauty, Movement, Music and Achievement. Embrace your inner goddess, laugh at yourself, turn up the music, dance what you feel and love who you are. Audrey discusses the reasons why it is difficult for most women to embrace their inner power. The underlying messages that women are getting again and again that they are not pretty enough, not skinny enough, not good mothers enough, not good enough at their careers. The fear within them that these messages create, stops them from embracing the goddess they have. Audrey’s message to all women is that being a Goddess is a mindset and a decision. When a woman decides to ‘get her goddess‘, she unleashes ‘a free & fearlessness to be who she is in all of her glory! To learn more about Audrey Davis and her goddess mission ,watch the video above and check out her website! To get a little dose of goddess inspiration everyday follow her on Facebook, Instagram, and Twitter. Follow @HipNewJersey on Facebook, Twitter, Instagram and LinkedIn. Find our “Get Your Goddess” contest post. One lucky winner will be picked at the end of March! Here at #HipNJ, we strongly support and encourage personal and business growth in women everyday! ETTWomen, co-created by Lynette Barbieri and Vanessa Coppes, also has the same vision and was created to encourage and inspire other women to start their own businesses. Vanessa Coppes stopped by the #HipNJ studio to talk with our Lisa Marie Latino about their exciting event happening on March 1 – 3, the Power of Connections Conference. “One of the things that we love about ETTWomen is watching business owners flourish. It’s like watching a flower grow!” Vanessa gushed. In addition to her work at ETTWomen, Vanessa is the founder of V+Co Consulting. For ten years, V+CO has helped to successfully launch the online presence of magazines, businesses and entrepreneurs. From March 1 – 3, ETTWomen will be holding a weekend retreat for networking and various business workshops at the Asbury Hotel. The The Power of Connections conference will feature bonding, strengthening, and more fun that you cannot miss! To learn more about signing up for the retreat, visit ETTWomen.com. There you can also discover tips and networking advice and workshops. Never miss anything New Jersey related by signing up to our HipNewJersey.com mailing list and always look back to our website for more! #HipNJ‘s Lisa Marie Latino is here to tell you about the latest Hip List gift picks for the holidays! If you think it isn’t possible to look fabulous and feel comfortable at m mthe same time, think again! SlimSation offers you comfortable slimming style with a flexible tummy control panel. The figure flattering fashion secret gives you a smooth, slim figure, making you feel 10 pounds lighter in seconds. The secret is their flexible tummy control panel, found in every SlimSation item. There’s no need for a constricting, uncomfortable control undergarment. Each pair of SlimSation pants works to contour your waist, slim your tummy, and shape your hips, all while keeping you comfy. The flexible tummy control panel moves with you, keeping your figure looking great throughout the day, whether you’re working, playing, or running errands. You don’t quit, and the SlimSation tummy control panel won’t quit either. With styles for every occasion, you can look and feel great, wherever you’re going and whatever you’re doing. The tummy control panel works the same way in both casual and formal styles. After all, you want to look fantastic all day, every day, not just on special occasions. The SlimSation line features colors, cuts, and styles that will suit any woman’s personal look. For more information, visit SlimSation.com.